Indiana University enrollment remains strong this fall, with the university continuing to attract diverse students and setting records for credit hours and the number of Hispanic/Latino, Asian-American, minority and international students. The figures show the results of IU’s Bicentennial Strategic Plan, which prioritizes a commitment to student success: keeping tuition and fees low, providing financial assistance, helping students stay on track to graduate and enrolling more students from diverse backgrounds. Total enrollment as of Aug. 29, the official census day for the fall semester, was 114,160 students on eight campuses. The students were enrolled in a record 1,314,864.5 credit hours. The figures include students enrolled in IU programs at Indiana University-Purdue University Fort Wayne. Excluding IPFW students, 106,734 students were enrolled in the seven IU-administered campuses: IU Bloomington, Indiana University-Purdue University Indianapolis, IU East, IU Kokomo, IU Northwest, IU South Bend and IU Southeast. They were enrolled in 1,249,546 credit hours, also a record. 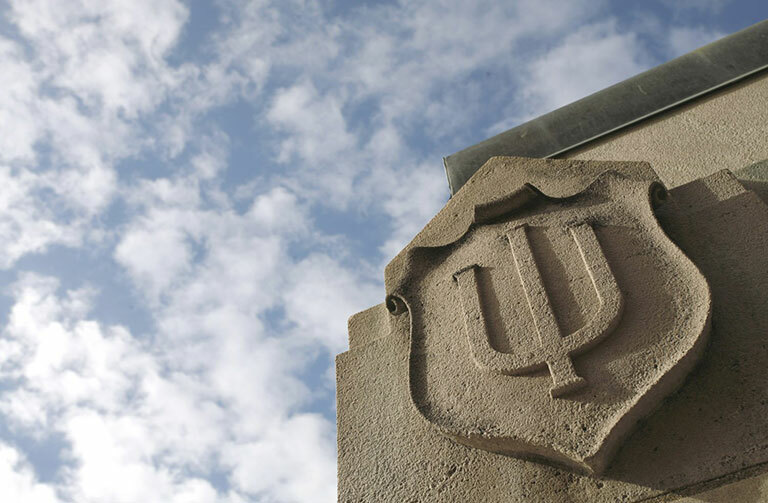 “Indiana University continues to be a very attractive college choice, especially for Hoosier students, and demand continues to thrive,” IU President Michael A. McRobbie said. “Our enrollment remains strong in large part because of our success in keeping an IU education affordable, accessible, relevant and of high quality. Several campuses saw an increase in full-time students, a sign that more students are on track to graduate. Increases in credit hours reflect a shift on several campuses to “banded tuition,” in which students enrolled in between 12 and 18 credit hours pay the same tuition rate. “This year’s enrollment figures present clear evidence of IU’s commitment to student success and on-time completion,” said John Applegate, executive vice president for university academic affairs. Total enrollment figures include students enrolled in degree programs and also nearly 17,000 non-degree students. Almost all of those are high school students taking courses from IU campuses. Counting only degree-seeking students, new marks were set for enrollment and undergraduates at IU Bloomington; credit hours at IU Bloomington, IUPUI and IU Kokomo; and minority students at IU Bloomington, IUPUI, IU East, IU Kokomo and IU South Bend. Indiana University Bloomington enrolled 43,213 degree-seeking students, a new record for the university’s oldest and largest campus. The campus also set records for Hispanic/Latino students, African-American students, Asian-American students, students of two or more races and international students. The 7,673 first-year students at IU Bloomington earned a high school grade-point average of 3.79 and an average combined SAT/ACT score of 1223, both campus records. First-year students come from 91 Indiana counties, 41 U.S. states and 36 countries. IUPUI set records for Hispanic/Latino students, Asian-American students and students of two or more races. The campus enrolls over 25,000 Indiana residents in degree programs, the largest number of any college or university. Some 87.8 percent of IUPUI students are from Indiana. The Indianapolis campus enrolled its largest, most diverse and most academically talented first-year class, totaling 4,003 students. African-American and Hispanic/Latino first-year students also set records. At regional campuses, enrollment shifted from part-time to full-time students. Hispanic/Latino enrollment grew significantly at IU Kokomo and IU South Bend. IU East and IU Southeast saw increases in African-American enrollment. Nearly 27,000 IU students are enrolled in at least one distance-education or online class, a figure that has increased by half in the past three years. Over 7,600 students are enrolled in distance-education courses only. 97,273 degree-seeking students, down 0.8 percent. 1,239,751 credit hours for degree-seeking students, up 1 percent. 77 percent of undergraduates are Indiana residents. Records for Hispanic/Latino students (6,064), Asian-American students (3,898), students of two or more races (3,298) and minority students (19,961). Record number of international students (8,714). 43,213 students, a record and up 1.5 percent from last year. 578,427 credit hours, a record and up 1.3 percent. 32,924 undergraduates and 10,289 graduate and doctoral students. Record numbers of sophomores (8,269) and juniors (7,811). Records for Hispanic/Latino students (2,224), African-American students (1,862), Asian-American students (2,180), students of two or more races (1,459) and international students (6,359). Record number of minority students (7,792), 21.3 percent of U.S. resident students whose race or ethnicity is known. 28,759 students, down 1 percent. 364,634 credit hours, up 2.7 percent and a record. Record number of juniors (4,592). Records for Hispanic/Latino students (1,788), Asian-American students (1,339), students of two or more races (1,015) and international students (1,961). Record number of minority students (6,873), 25.8 percent of U.S. resident students whose race or ethnicity is known. 3,236 students, down 2.1 percent. 35,234 credit hours, down 2 percent. Record number of seniors (1,213). Records for African-American students (140), students of two or more races (96) and total minority students (360). 2,873 students, down 0.7 percent. 35,671 credit hours, up 1.6 percent and a record. Records for students of two or more races (81) and minority students (367). 4,064 students, down 9.1 percent. 47,711 credit hours, down 6.3 percent. Record enrollment of non-Indiana-resident students (128). 5,471 students, down 3.5 percent. 65,595 credit hours, up 0.3 percent. Records for Hispanic/Latino students (537), students of two or more races (190) and minority students (1,252). 5,297 students, down 5 percent. 60,138.5 credit hours, down 1.5 percent. 3.9 percent increase in African-American students (374). 4,360 students in IU programs, down 3.7 percent. 52,340.5 IU credit hours, down 2 percent.